You can't have a party without an invitation - who's going to come? I think the it sets the tone for the party and lets your guests know what to expect. I love designing invitations for the parties Ashley and I host for her kids so I really wanted to design an invitation for the #DisneySide @Home Celebration myself. 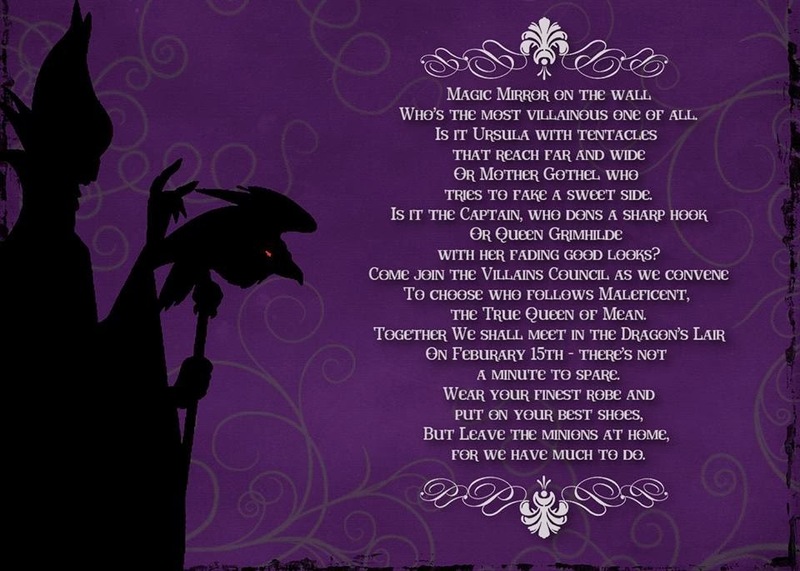 Aurora is my favorite Disney Princess so naturally incorporating Maleficent into the invitation was a must. First I wrote the verse, then decided to go with a purple and black color scheme. After searching the internet, I purchased digital paper from the Etsy store Mon Bonbon, The font is LD Hoot from Lettering Delights. I designed the invitation using Lumapix FotoFusion software. 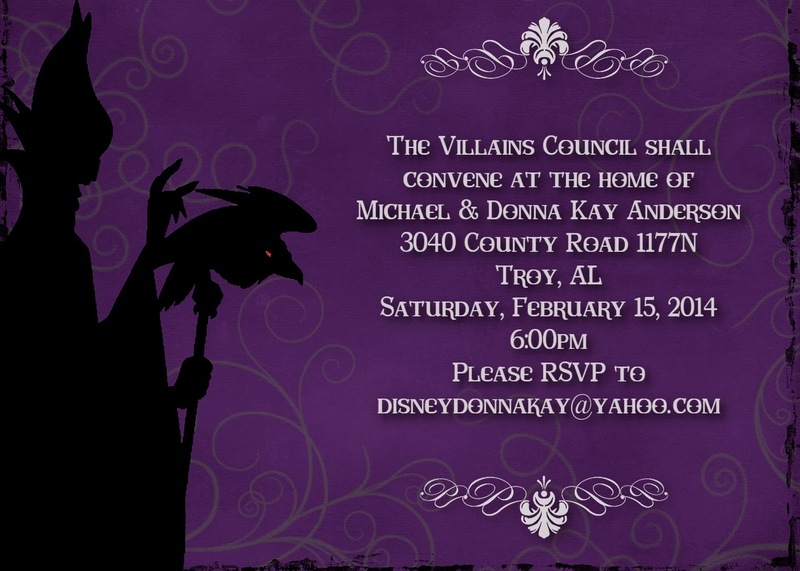 The invitation can be printed double sided including party time, address and phone number on the back. It can also be sent as a e-vite, my choice since I am crunched for time. What do you think? Would my invitation have you dying to come to the party? You are a genius! I can't wait for your next installment!! Thanks Didi! I love designing this stuff!! I love it! I might be calling on you to help me design OUR invitations. I have some ideas - just need to see if I can get them to work the way I'm imagining them! You know I would be happy to! Just let me know!! Cannot wait to see what you come up with for your party Lucinda!! You have lots of inspiration at your back door!! Love it! You are so crafty! I love this! I wish I could come to this party - looks like so much fun! Rosanne, you,Deb & Didi need to carpool down south and party with me!! Love the invitations! Oh I would be there in a flash!! Yes, we need to get the party wagon on the road!! Thanks Deb! We really all need to plan a way to all meet. This is going to be a great party! Love that it's adults only! Thanks Lisa! I am really looking forward to it, my box should be here Tuesday. I wish all of my Disney Girls could come!! My goal in life is to meet all of you and we could throw a huge Disney Girls Night Out! !